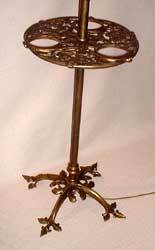 A truly marvelous Arts and Crafts standard lamp with fantastic Arts and Crafts detailing to tray and base. 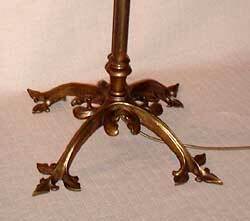 This was the most expensive lamp in Benson's original catalogue. Hand cast and wrought from a Benson original.